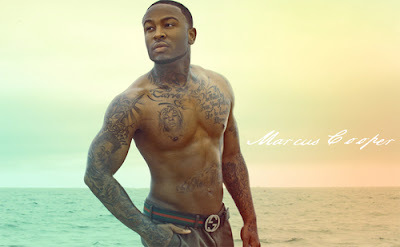 Marcus Cooper who we all knew as Pleasure P of Pretty Ricky, has taken on a whole new sound in this new song 'Move On'. Marcus Cooper formerly known as Pleasure P has decided on using his government name, either name - I'm fine with. Singing on top of a reggae beat, the singer expresses his feelings in this new song and not wanting to hurt the other person in this past relationship. Oh, I wonder if he's talking about Bria Murphy. La di da di! I've been watching interviews (the Breakfast club - watch below if you haven't seen it) and listening to some of Marcus Cooper's new music, the dude has surely grown and matured. I like this side of him. Following up to his first solo album "The Introduction of Marcus Cooper", Marcus Cooper's sophomore album "Marcus Cooper" is set to be released in the first quarter of 2013. Marcus Cooper on The Breakfast Club: Talks music, break-up/relationships, change of name and everything else!